If your identification documents are in a different language than the official language of the country you’re planning to live, work, study or get married in, you’ll need your documents translated. For important document translations, including birth certificate translation services, ABS Translations can help. When Do You Need a Professional Translator? When traveling to another country, whether you’re accepting a new position abroad or planning a destination wedding, proper documentation is key. 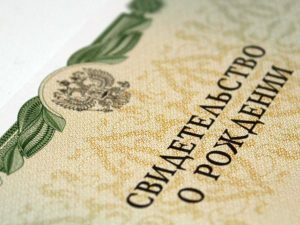 Accepted forms of identification vary from country to country, but most commonly, the following are accepted: driver’s license, military ID, birth certificate and social security card. If you are using a birth certificate to establish your identity in the U.S. or another country and it is written in a language that’s foreign to that country, you’ll want to make sure it’s professionally translated. In fact, many countries require that your birth certificate be presented as a certified translation. A certified translation simply means that a professional translator has certified that they are experts in both the target and source languages and that the translation is authentic and accurate. Why Do You Need a Professional Translator? Using an inexperienced translator for your birth certificate translation can result in serious delays. One of the most common mistakes we see is listing birth dates incorrectly. If a translator doesn’t know whether a country uses little-endian or middle-endian date formatting, a person whose birthdate is July 6th, 1982 (7/6/1982) may end up with June 7th, 1982 (6/7/1982) on their translated birth certificate. Errors like this cause inconsistencies in your travel documents. And these inconsistencies can result in your travel request being delayed or denied. Working with a reputable and professional translation company is an easy way to limit your travel document-related headaches. At ABS, we have a highly-qualified and expansive network of linguists. From birth certificates to business documents, no matter your translation needs, our team can help. Call us at 215-233-300 or email us to get started.